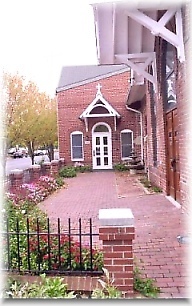 Welcome to the website of Meade Memorial Episcopal Church in Alexandria, Virginia. Please take a few minutes to view our site and become familiar with this historic faith community. Meade Memorial has been serving Alexandria and surrounding communities for over 130 years. This historic and predominantly African-American Episcopal community brings to the greater Episcopal church a unique blend of worship, welcome and empowerment which transforms and enriches the lives of the children, men and women who enter into this community. We extend to all our web visitors a warm welcome. We invite you to worship with us and feel the presence of God’s spirit in your life.